If you haven’t already noticed, I love to make cute printable sayings to put onto gifts using my awesome editing program GIMP. It is something I just ended up having a skill in and not finding out until about a year ago! 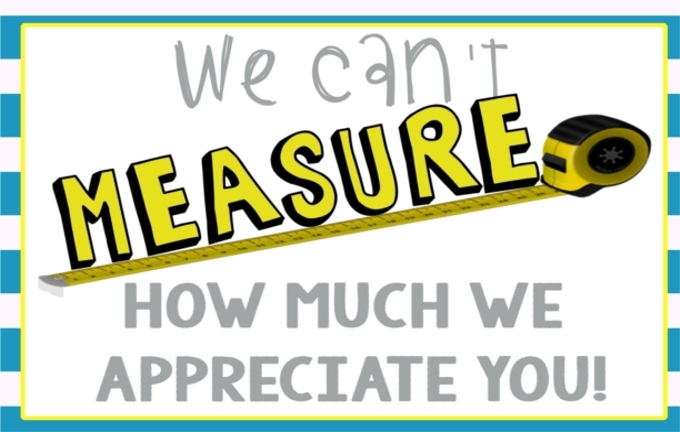 I made these awesome Thank-You printable cards by my Mother’s request. She has a meeting with other women from our church and she was the one responsible to find people to watch the children while the women are in the meeting. She asked about men to watch the children and she wanted to give them a Thank-You gift for helping out. On Father’s Day at my church, all the men get a small gift. 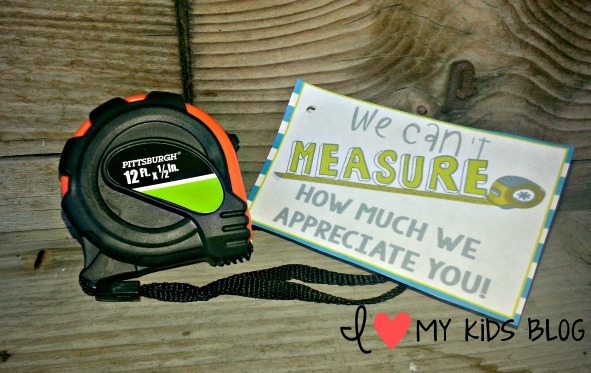 This was the gift this year, a tape measure with a note on it. (The women get a gift on Mother’s Day too!) My husband lost the note, but I was able to create this printable with my own creativity. Now that you know the history behind this printable, I will give you the free PDF download! 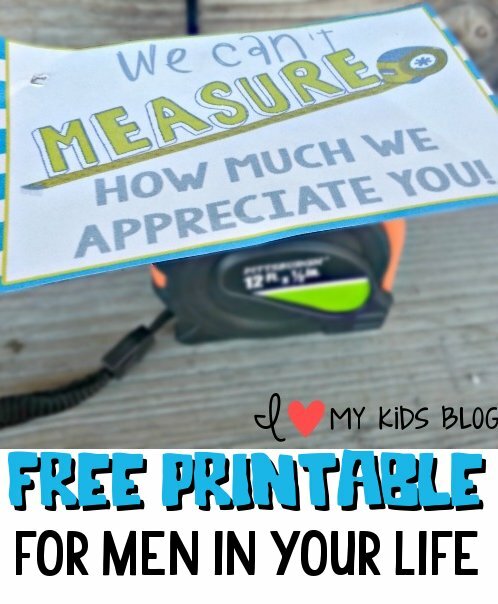 Just to be aware this Thank you printable can be used for other things then just Father’s Day. Such as a teacher gift, (for any season, if you have a male teacher) just because thank you, Christmas gifts for neighbors, etc. 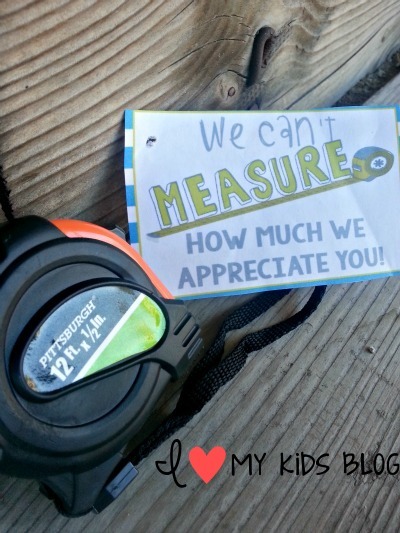 You can buy a regular size tape measure, or a smaller one like the one in the pictures. The possibilities are endless! Please only use for personal use and gift use. DO NOT SELL for profit! 1. Download Printable and print on either paper or card stock. Card stock would hold better and not get wrinkled up. 2. Tape or tie printable on the tape measure. 3. There are 8 tags on the PDF. For those who want to give multiple gifts. Cut them out how ever many you need, and print multiples if needed. If you only need one, then you are welcome to just copy and paste the image above without the tape measure.